Some people love themed parties while some people love cats. Some people love both at the same time. And then the prospect of throwing a party is in the near horizon. 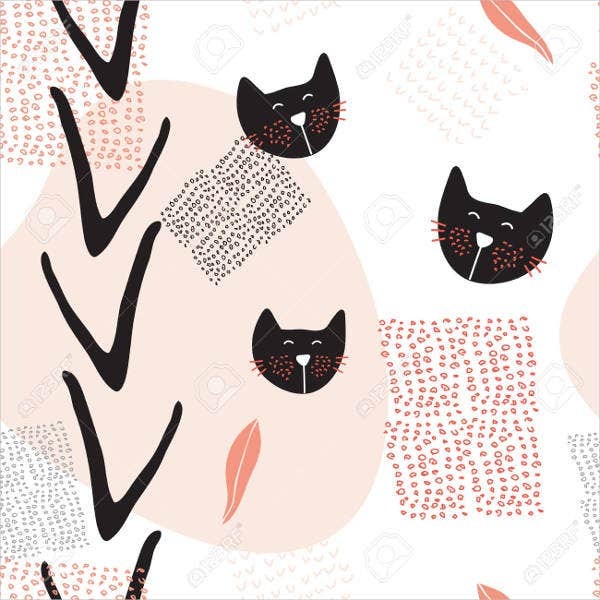 If you fall on this very specific group of people, at one point or another, you must have thought about throwing a cat-themed party templates. If you are throwing this sort of party, you will definitely enjoy these cat-themed Party Invitation Templates. These invitations will definitely suit your party and will surely be something that your guests will enjoy receiving in the mail. Scroll down to see what we have to offer now. You may also see invitation samples. 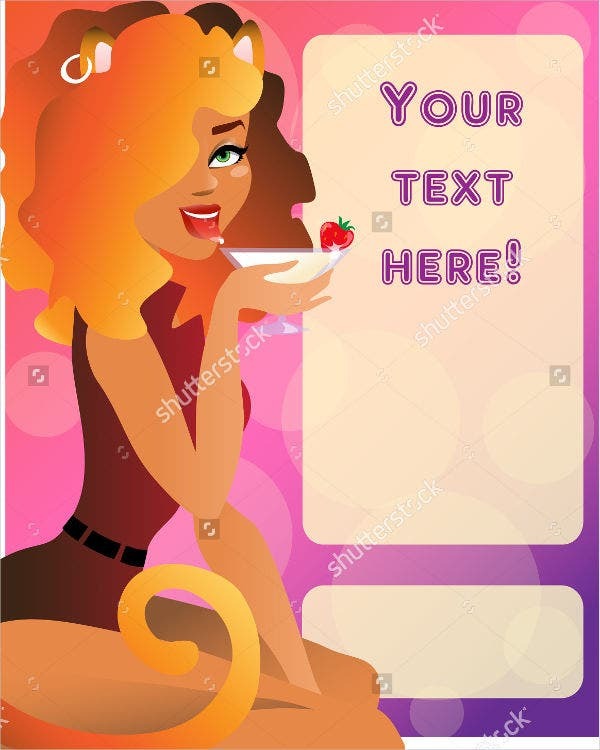 Ladies Kitty Party Invitation – For a night out exclusive only to you and your closes girl friends, this party invitation is the one you should be using. 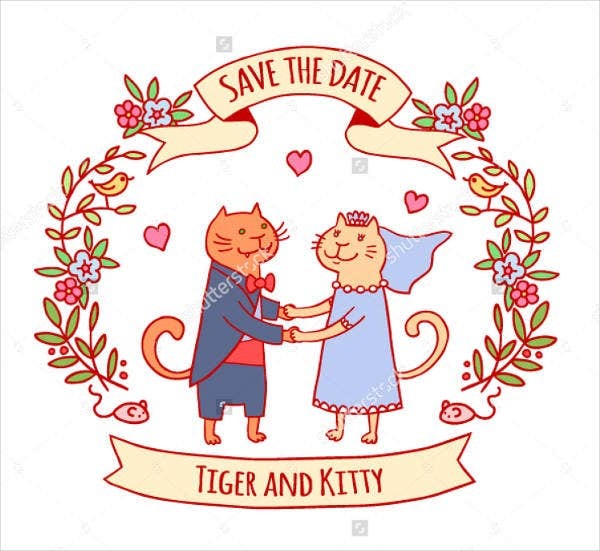 The design of this template completely veers away from the childish idea of cat-themed parties, appropriate for an older user base and audience. 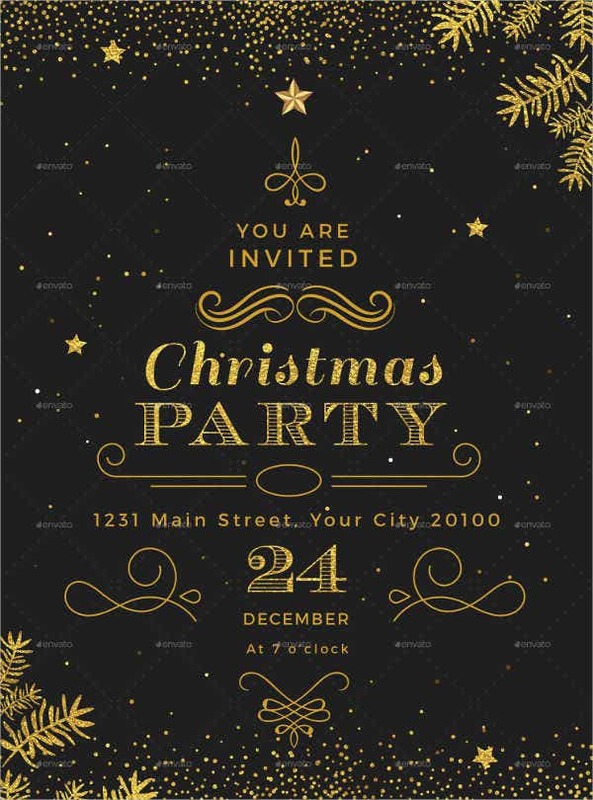 Christmas Kitty Party Invitation – Take your Christmas party to a whole other level by turning it into a Christmas cat-themed party. 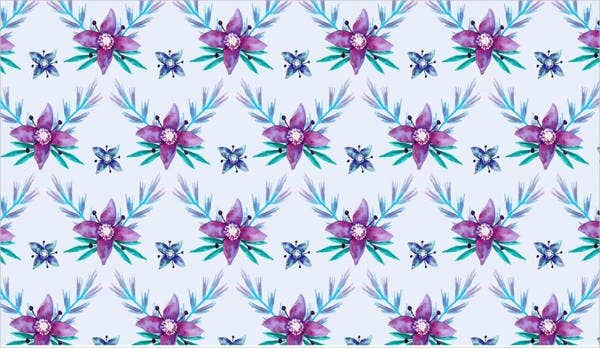 This mixture of themes is very rarely thought of, and with that, invitations are pretty hard to find. 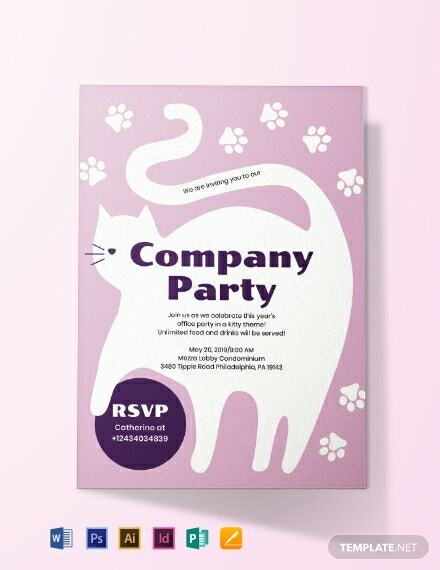 Thankfully, we found an invitation template that you can use for this quirky themed party. 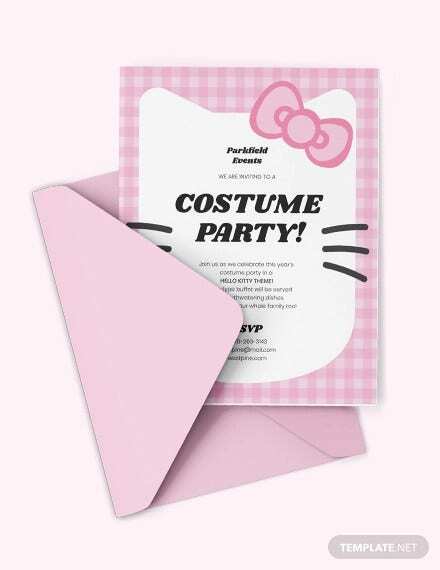 Summer Kitty Party Invitation – Summer parties can also jump on the cat-themed party bandwagon. 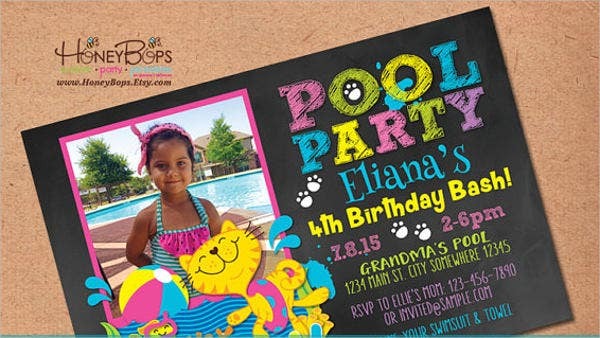 If you are throwing a party like this one this upcoming summer, then this invitation template should definitely fit the bill. 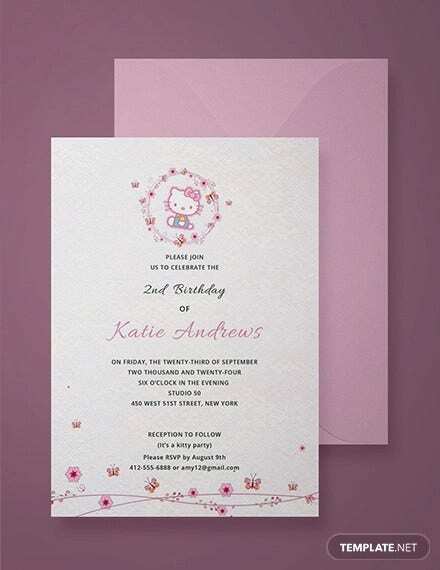 Floral Theme Kitty Party Invitation – For a more feminine and elegant take on the cat theme, this invitation template design will surely convey that atmosphere. 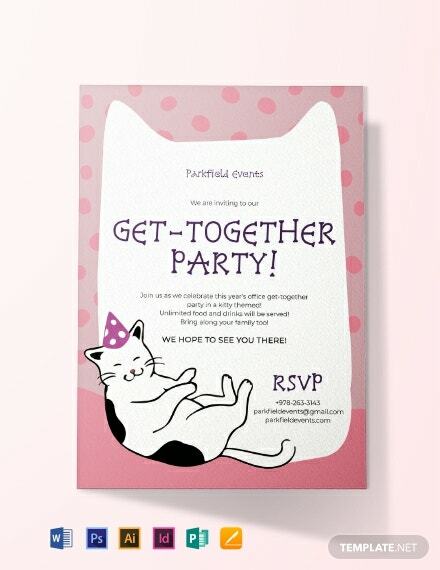 Funny Kitty Party Invitation – A cat-themed party can still use a little bit of added humor. Invite your guests over with this hilarious invitation template. 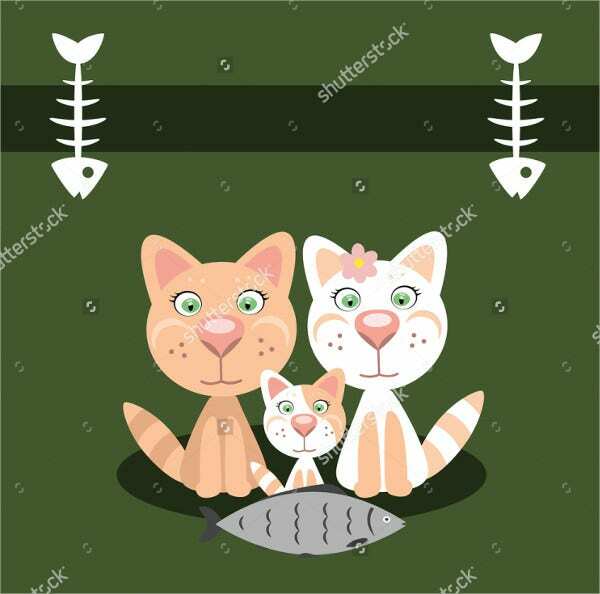 Family Kitty Party Invitation – Avoid throwing a boring family get-together and instead turn them into a cat-themed party. Use this template to invite your relatives over for a very memorable family party. 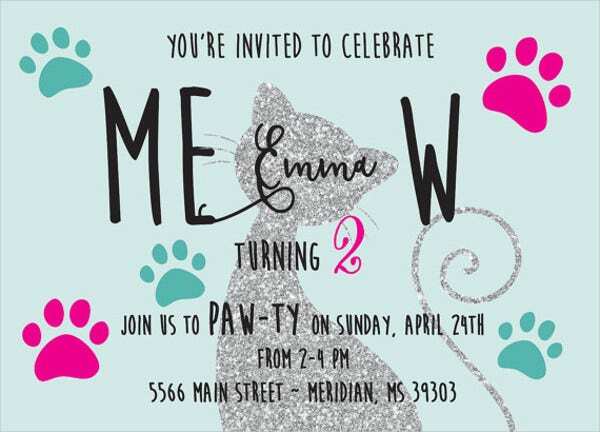 Free Printable Kitty Party Invitation – This template from our entire collection is absolutely free to customize and print. 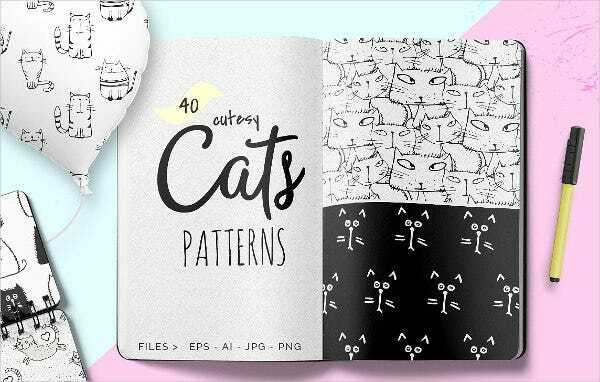 With this, you will no longer have to pay for a fee to use the template and you can print them right in the comfort of your very own home too. 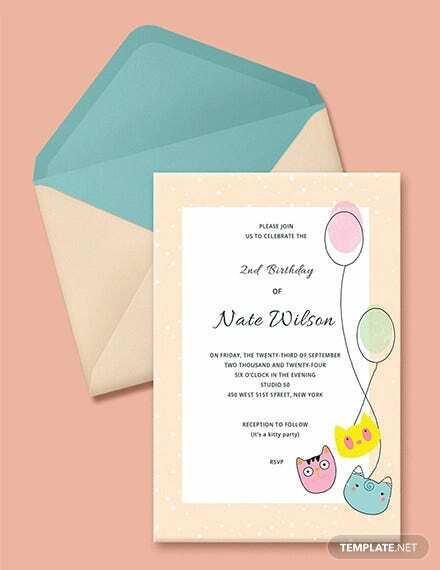 For more templates, you will definitely find them in our site, just like these Naming Ceremony Invitations.